You see someone yawn. Suddenly, the fatigue you’ve been ignoring sets in. You decide to yawn too. The mid-afternoon rolls around and you can barely keep your eyes open at your desk. You head to the vending machine for a caffeinated soda, some coffee, or an energy drink to make it through your day. Or maybe you take extra B vitamins to give yourself some energy when you hit the wall. If you’re feeling tired during the day, then stimulants aren’t the answer for more energy. You may receive a short-term burst of energy, but it comes with long-term consequences. Stimulants can make it difficult to sleep at night. They will also raise your blood pressure, interfere with your circulatory system, and can even cause heart palpitations. That leads to a cycle of less sleep, which prompts more stimulants to be taken throughout the day. Here’s a better solution: taking a nap. If you are feeling tired, you should use one of your breaks during the day to take a daily nap. Even a nap of 20-30 minutes can restore your energy and focus so you can power through a difficult afternoon. There are several health benefits that come when you make time for a daily nap as well. A power nap can be taken at any point during the day so that the health benefits of napping can be obtained. If you are feeling tired, then this is an indication that your body needs more sleep. Instead of reaching for a caffeinated beverage, curl up somewhere comfortable and get some rest. 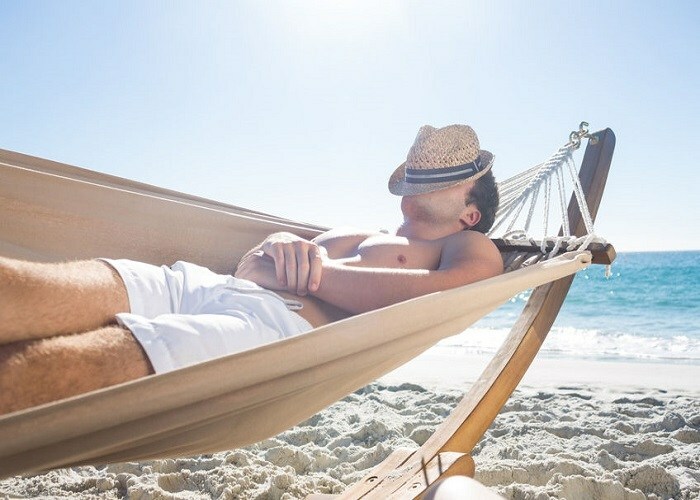 The Mayo Clinic recommends taking a nap in the mid-afternoon, with the best time being between 2-3pm. At this time, you can deal with the sleepiness that may come from eating lunch and the lower levels of alertness that arrive from a long day of staying focused on your professional responsibilities. Mid-afternoon naps also help people maintain their regular sleep cycle so they don’t struggle to get back to sleep when their normal bedtime routine comes around. A sudden feeling of fatigue during the day can be the indication of a health problem. You may be taking a medication, such as an allergy medication, that is encouraging feelings of sleepiness. Check with your doctor about what may be causing this acute condition. A chronic lack of sleep is often due to some form of sleep apnea. If you take a nap around your lunch break, you have the opportunity to lower your blood pressure. With lower blood pressure, you can reduce the risk of heart disease symptoms, including the hardening of the arteries that can lead to a heart attack. The flexibility of the circulatory system is maintained with lower blood pressure as well. For some individuals, that means reducing their lifetime risk of experiencing a stroke as well. For those who do have high blood pressure, napping can even save their vision. 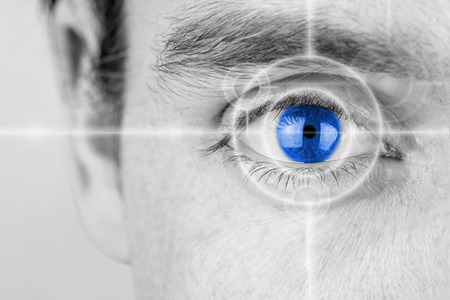 Higher blood pressures damage vision over time because it places a strain on the optic nerve. Even the retina can be directly damaged by high blood pressure. There is also the possibility of improving the functionality of the kidneys when blood pressure levels are better controlled. How does sleep improve your ability to focus? When a proper amount of sleep is achieved in a 24-hour period, the brain can optimize its focus on learning activities. Sleep also plays a role in how memory is consolidated within the brain so it can be retained for future recall with greater certainty. That makes it difficult to receive new information because a person’s attention and focus cannot be maintained. When present, it becomes difficult to learn anything new or even remember certain events throughout the day. A daily nap can eliminate that vigilance drift so an improved focus can be achieved. Margaret Thatcher famously slept just 4 hours every night, but she would also take a 2-hour nap during the day to maintain proper sleep levels. As a person’s energy levels go down, so does their overall productivity. A daily nap of just 30 minutes can restore those levels so that productivity can be maintained. The brain operates a lot like a computer. When your computer is on for an extended period of time, it begins to bog down. The commands you ask it to process become slower. There may be moments when it locks up and you need to force quit the software or application you are using. What’s the best solution for fixing a computer problem like this? Turning it off and then turning it back on again. The same principle applies to the brain. By taking a daily nap, you can give your brain some healthy down time so that proper functionality can be restored. Sometimes it is better to have a couple of sleeping periods during the day instead of trying to force all the sleep into one overnight period. If you’re a parent or have worked with young children, you can tell when toddlers are feeling tired and forcing themselves to stay awake. They become “cranky.” They become highly irritable, with even minor stress triggers causing epic tantrums. It’s not just anger that becomes a problem at this stage of fatigue. Toddlers can become sad very easily. They become happy easily. Every emotion becomes heightened. The only thing that can restore their mood balance is some rest. Although adults may cover their anger and irritation better than a toddler, a lack of sleep does create more potential triggers that can lead to an emotional explosion. Not getting enough sleep can even lead to heightened levels of anxiousness, which creates self-isolation. A daily nap can begin the process of restoring a sleep balance, even if there has been a prolonged imbalance in place. In return, moods become stabilized and triggers become easier to resist. Did you know those energy drinks, coffee, or sugary snacks that are used for quick bursts of energy also create quick bursts of cortisol? When you’re not getting enough sleep, the levels of the hormone which causes stress become naturally higher. As you add stimulants to the mix, additional cortisol is manufactured so that the stress being felt is even higher. Upset Stomach. This can include bloating, constipation, diarrhea, and nausea. Migraine Headaches. 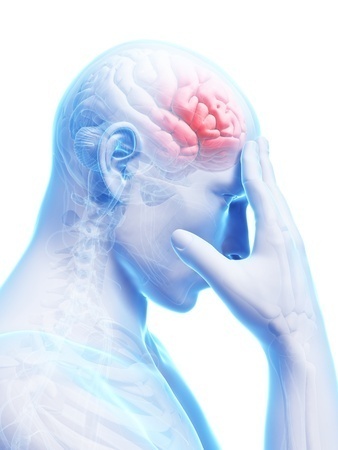 Regular headaches, muscle pains, tense muscles, and muscle twitching are all associated with stress as well. Frequent Infections. Stress reduces the capabilities of a person’s immune system, which means more infections, more colds, and more sick leave being taken. People experiencing high stress levels are less likely to be sexually active, have low energy levels, and cause rapid heartbeats. Some people, with chronic stress, can even experience symptoms that are similar to that of a heart attack. Prevention Magazine offers 10 silent signals to help you know if you’re too stressed out. With a power nap, the body can deal with the higher levels of cortisol with greater efficiency. At the same time, you’ll be able to take advantage of all the other health benefits of napping so you can get through your day better. To take advantage of what a power nap can do for your stress, try to get in a 15-minute nap at minimum. Going over 30 minutes for your nap indicates a need for more daily sleep, so a longer nap may increase grogginess. When you’re not getting enough sleep, mistakes happen more frequently. Some mistakes are pretty simple, like dropping your fork when trying to eat breakfast. As you go to your job, however, some mistakes can be life-altering. You don’t want to accidentally saw off a finger as a carpenter or crash your airplane as a military pilot, right? The National Aeronautics and Space Administration (NASA) has compiled an extensive amount of data on the long-term effects of sleep deprivation. What they have found is that a person’s alertness levels are doubled when the right amount of rest is obtained on a regular basis. A person’s performance can improve by more than 30% with just a 40-minute nap. When you get enough sleep, you’re able to visually discern complex patterns and understand them. Without enough sleep, this understanding goes away. Instead of feeling satisfied with a job well done, feelings of being overwhelmed with large amounts of data to be processed become the outcome experienced. When that feeling of being overwhelmed is present on a regular basis, it leads to burnout. Although burnout is associated with professional tasks and responsibilities, it can be experienced in the home as well. Here are some of the symptoms of burnout that can develop over time. Exhaustion. People who are burned out feel physically and emotionally exhausted all the time. Cynicism. Burnout also causes people to feel detached from their reality. Instead of the glass being half-full, the feelings caused by being overwhelmed all the time make people feel like someone is trying to steal their glass, no matter how full it may be. Worthlessness. People who experience burnout often feel like they haven’t accomplished anything with their efforts. That leaves them feeling ineffective. There are many ways that these symptoms may manifest themselves. Insomnia is quite common, especially in the earliest stages of burnout. Some people may experience a loss of appetite, feel short of breath, or enter into the early stages of depression. As burnout increases, there are increased feelings of pessimism. There is a loss of enjoyment in the simple things of life. This causes a desire to isolate from the rest of the world to the point where you may become angry just because someone wants to speak with you. Eventually, detachment occurs. At this stage, people may remove themselves completely from their personal and professional lives. It may start by calling in sick frequently and may end in a complete termination of all relationships. Forbes offers 10 signs of burnout and what to do about it. The first step may be to find a way to get more sleep. If you don’t have a daily bedtime routine, then establish one. Use your breaks during the day to get some extra sleep if you can. 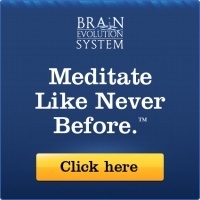 If you find that sleep is eluding you, then use your break periods to meditate instead. Meditation can provide you with some of the benefits of sleep, such as mood stabilization, so that you can become more productive. Meditating can also encourage sleep because it reduces stress levels over time and that makes the symptoms of burnout less intense. Quick: what is your favorite food? The answer to that question often depends on the amount of sleep you’ve obtained in recent days. We all have our overall favorite foods that we enjoy, but there are also food favorites that we eat when we’re experiencing deep levels of fatigue. Your favorite food might be a nice steak, but when you’re feeling tired, your favorite food might be jelly beans, a chocolate bar, or even a can of soda. When people are tired, they begin to crave calorie bombs. These high calorie, low density foods can provide a quick burst of energy so that the fatigue being experienced goes away. After the energy “high” goes away, however, the body crashes and more food cravings appear. Those food cravings happen because of unstable blood sugar levels. To create a balance, spikes and valleys are created where only brief periods of normality are achieved. A better solution is a brief nap. Just 15 minutes of sleep can restore blood sugar levels, improve personal willpower, and restore concentration levels so that food cravings aren’t as powerful. To further reduce the temptation of eating something that may not be super healthy, try to take a quick walk after waking up from your power nap. The exercise can help to curb the cravings while further reducing stress levels, which can dramatically increase and stabilize your mood. The idea of a power nap is fantastic. There’s just one problem: every time you try to go to sleep during the day, you just can’t make it happen. You lie there with your eyes closed and sleep eludes you. If you’re trying to take advantage of the health benefits of napping, then create an environment where sleep is encouraged. The best thing you can do for yourself is to get comfortable. Lay down flat as you would in bed. Make sure to take off your shoes. When you’re comfortable and lying in a horizontal position, sleep can occur twice as fast when compared to other sleeping positions. Once you’ve gotten comfortable, here are some other tips that can help you make the most of your next nap time. Set a cooler temperature. Most people find it easier to fall asleep when temperatures are cool. The cold naturally encourages the body’s metabolism to slow down and that creates feelings of sleepiness. Make sure to have a blanket with you so that you don’t become so cold that it wakes you up from your nap prematurely. Plan a nap after your midday meal. Although 2-3pm might be the ideal time for a nap for the average person, the best time to take a nap is about an hour or two after you’ve eaten lunch. That means if you head to work at 6am and your lunch break is at 10:30am, your best chance to nap will be around 12:30-1:30pm. If you need to nap after 3pm, try to keep it short so your sleep cycle isn’t interrupted. Earlier naps can generally be longer without consequence. Bring a timer or alarm with you. Before settling down to your nap, make sure your smartphone has an alarm set for the length of nap you need. A power nap can be beneficial at just 5 minutes, but a 45-minute nap might be necessary after a rough night of sleep. If you don’t have an alarm or a timer, have a friend, family member, or co-worker wake you up at the right time. If you are getting 7-9 hours of sleep every night and taking a daily nap, but still feel tired every day, then there may be some underlying causes that need to be addressed. One of the most common causes of chronic fatigue is a sedentary lifestyle. If you sit in front of your computer all day for work, then come home and sit in front of the TV with the family, the lack of physical exercise is likely contributing to your lack of sleep. Without exercise, your body cannot experience an endorphin release that boosts stamina and balances hormones. Unstable blood sugar levels are also a common contributor to a lack of sleep. Refined carbohydrates are a common part of the Western diet, which means they provide energy to the body when it’s really trying to wind down. Not only does this encourage less sleep, it also encourages the body to convert the unneeded resources into fat. Eat anti-inflammatory foods, especially near bedtime, to see if your sleep can be improved. Vegetables are especially important, but healthy fats, like avocados or nuts, can create a blood sugar balance as well. An underlying medical condition may also be to blame. Thyroid disorders can cause a lack of sleep. Food intolerances can also interrupt sleep, such as dairy or gluten. Certain mineral and vitamin deficiencies can contribute to the situation as well. If you’re taking a protein pump inhibitor and not taking a B vitamin supplement, you may experience sleep disturbances too. And if you suspect sleep apnea may be the issue behind your chronic fatigue, talk to your doctor about a sleep study right away. The best way to obtain the health benefits of napping is to practice taking a nap every day. It may be difficult at first, but with consistent effort, a daily nap can become part of your routine. If the 2-3pm window doesn’t work for you, try napping at a different time. If 15 minutes seems too short, try a 30-minute nap. If it’s too long, try a 5-minute nap. Then make your napping space as cool and as comfortable as possible. In doing so, you may just discover why you should take a nap every day and reap all the benefits from this new habit. - What Can I Do to Fall Asleep Easier? Do you try to take a nap every day? What health benefits have you experienced from adding an extra sleep period to your day? Thanks for the information. As someone that suffers from chronic insomnia I tend to avoid naps during the day but your points about productivity etc. are spot on. Is there a form of meditation you would recommend for insomniacs? I do transcendental meditation and it helps tremendously with stress but have yet to find something to help with insomnia. You’re right, if you suffer from insomnia then daily naps are definitely not for you. Meditation in general should help you with insomnia. Maybe mindfulness meditation will work for you.